Learn what is required to properly climb on a selfbelay system. When is it okay to fall on an ascender while toprope soloing? The use of ascenders for toprope self-belaying is allowed when the ascenders are installed and used properly, slack is not introduced into the system, and the ascenders are part of a redundant belay system. Although not designed specifically for this use, certain ascenders are acceptable to use in a self-belay system when done by a climber who is experienced and properly trained in the correct techniques. Many ascenders incorporate teeth that engage the cam on the rope and keep it from sliding downward. Falling onto an ascender, even a short fall, can generate a significant amount of force that may damage the rope and compromise the fall-arrest abilities of the whole system. Reducing the fall distance to a minimum keeps forces low enough that an ascender won’t damage the rope. 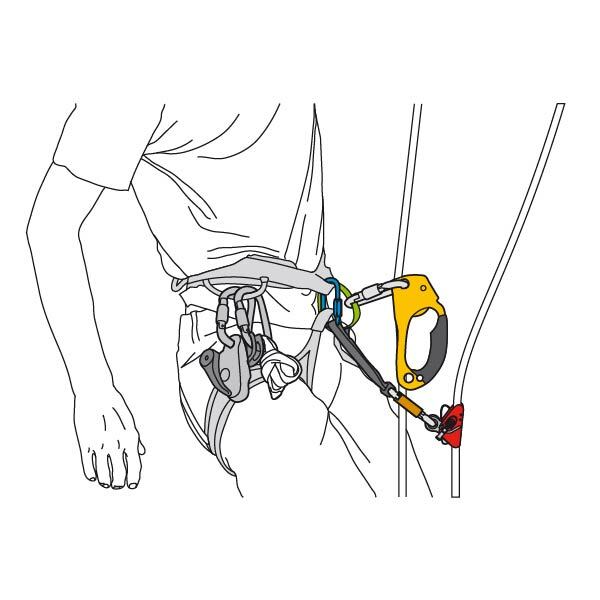 This is achieved by connecting the primary ascender directly to the belay loop with one locking carabiner, reducing the potential fall to the length of the carabiner. 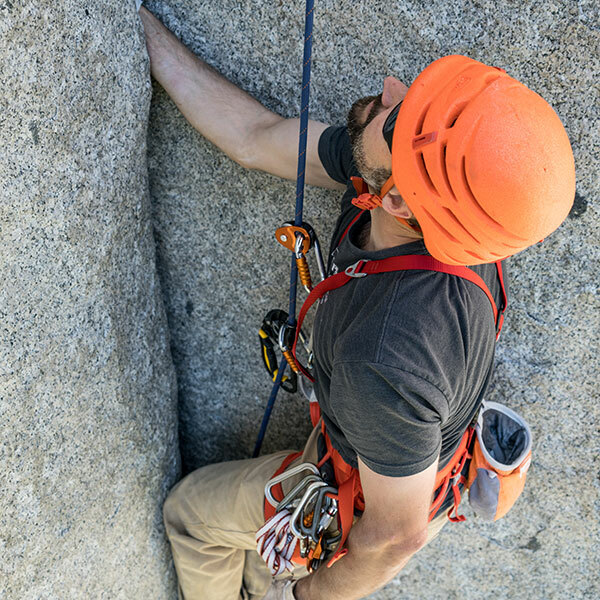 Depending on your system, other ascenders may need an extension (quickdraw) or shoulder straps to maintain a good position–more details on Petzl.com. After installation, verify that each ascender slides correctly on the rope in the up direction, and locks immediately in the down direction. Before climbing, verify that all connectors are locked. If the rope is not sufficiently weighted, the ascenders cannot slide fast enough to keep pace with the climber and loops of slack are created between the climber and the anchor, which increases the potential fall distance. It is imperative that the climber constantly monitors the ascenders to ensure they are properly sliding up the rope while climbing. Climbing above the anchors will also create unwanted slack and could potentially be a deadly mistake. Always stay below the anchor point, and make sure the system allows for this while climbing or descending the route. 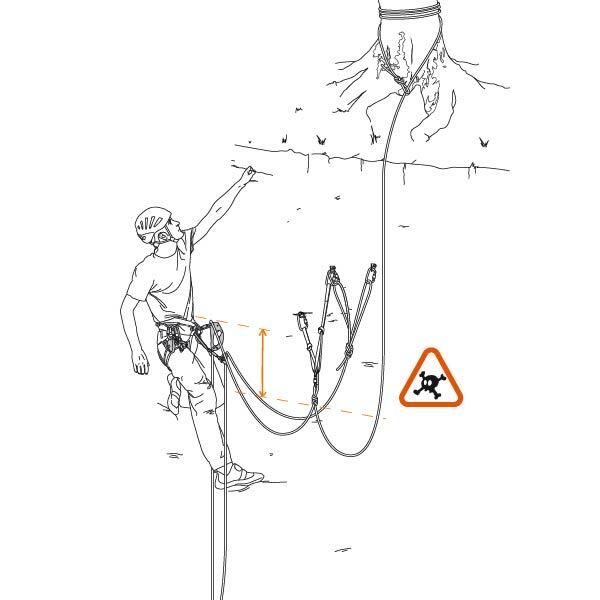 Using a single ascender for toprope self-belaying is technically feasible, however, accidents have been reported despite user expertise. Petzl strongly recommends using a system with a secondary belay to back up the primary ascender. This is achieved by using one of two setups: one rope with two rope grabs or two ropes with two robe grabs. Technical Notice: All Petzl products include a technical notice with their packaging. 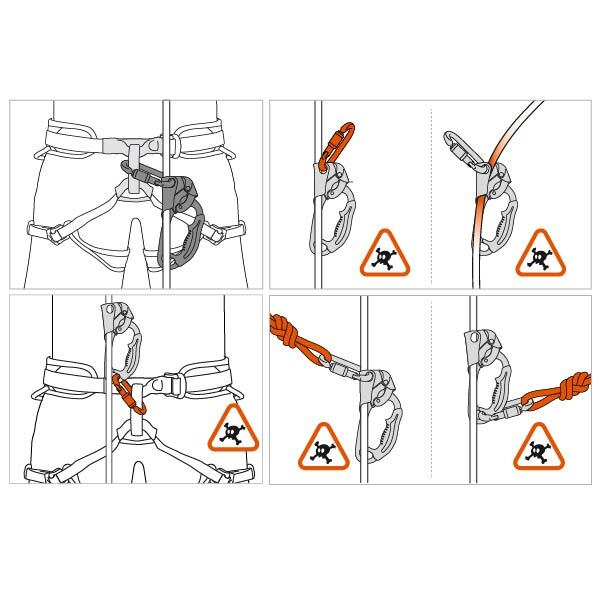 These notices are also available on every product page of Petzl.com. It is important to fully understand the information provided in the technical notice for each product before using this complementary information.